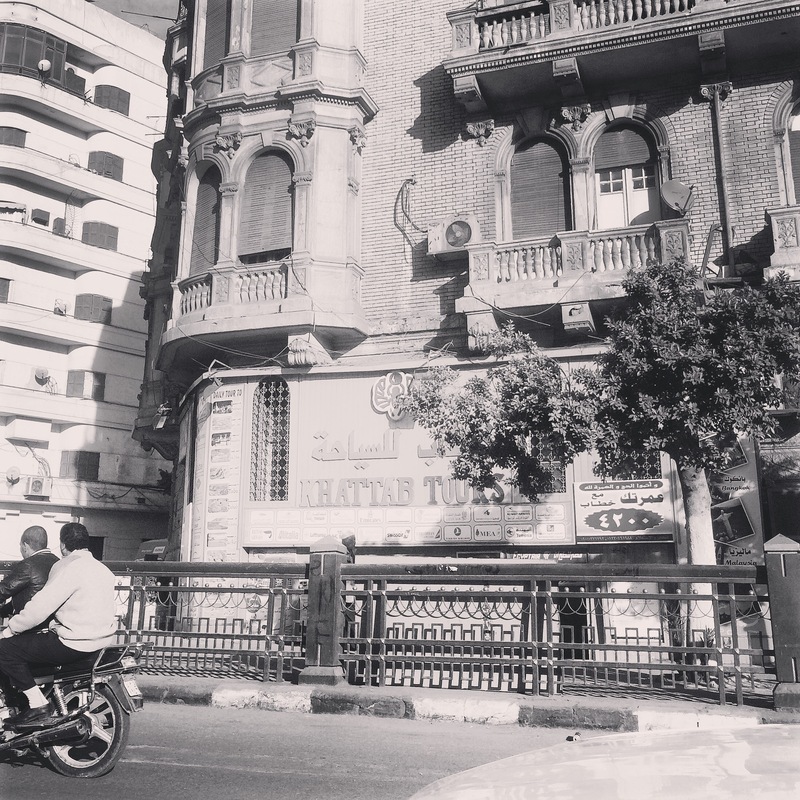 Images that interlink form a triptych Photograph recollection connected by time in a car journey through Downtown Cairo where 19th and 20th century buildings speak volumes. 20th century European architecture merges with oriental finishings, palm trees and Arabic typography. 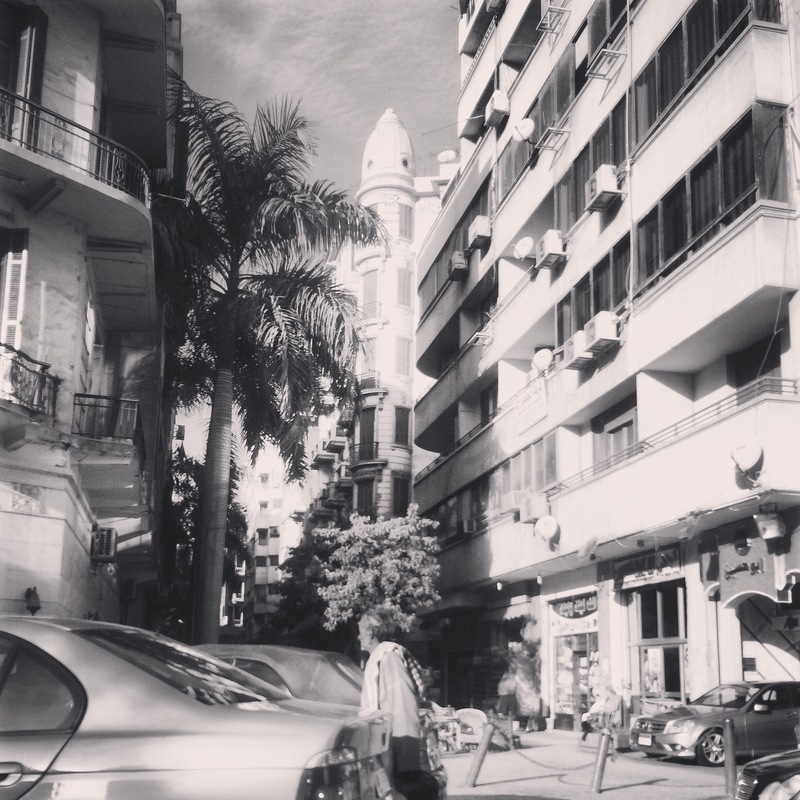 The loud, hectic, dysfunctional-yet-charming streets of Cairo are witness to the constant movements and shifts the city endures on a regular basis. Old multipurpose apartment blocks, not unlike Alaa Al Aswany’s The Yacoubian Building, show cracks but stand resilient despite the city’s recent social and political turmoil. A motorbike zooms by Khattab Tours, one of many businesses and shops that vacate the street level of Downtown apartments and office buildings. 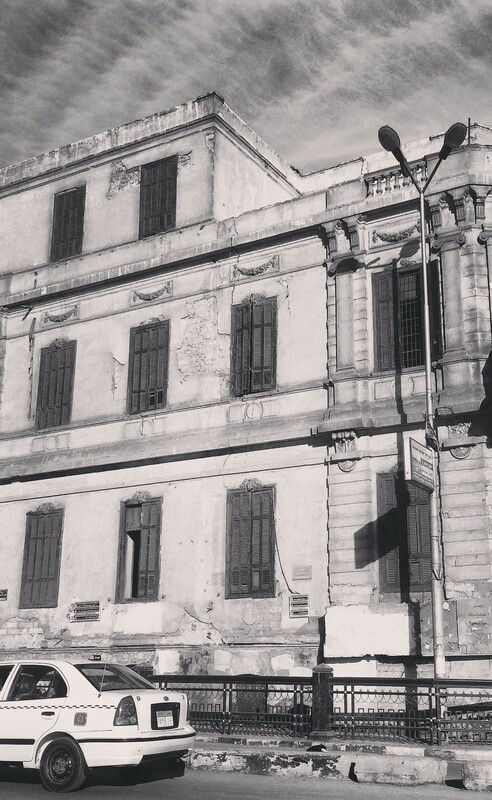 Renovation is in the planning to preserve these long neglected buildings of Cairo’s Belle Époque.